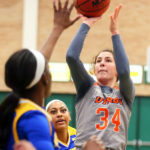 EDINBURG — The UTRGV women’s basketball team entered Saturday night’s Western Athletic Conference game against California State Bakersfield riding high. 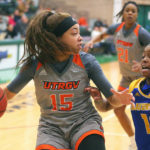 Even though the Vaqueros didn’t play a perfect game, they were able to top Bakersfield 64-56 to win their fourth consecutive game. 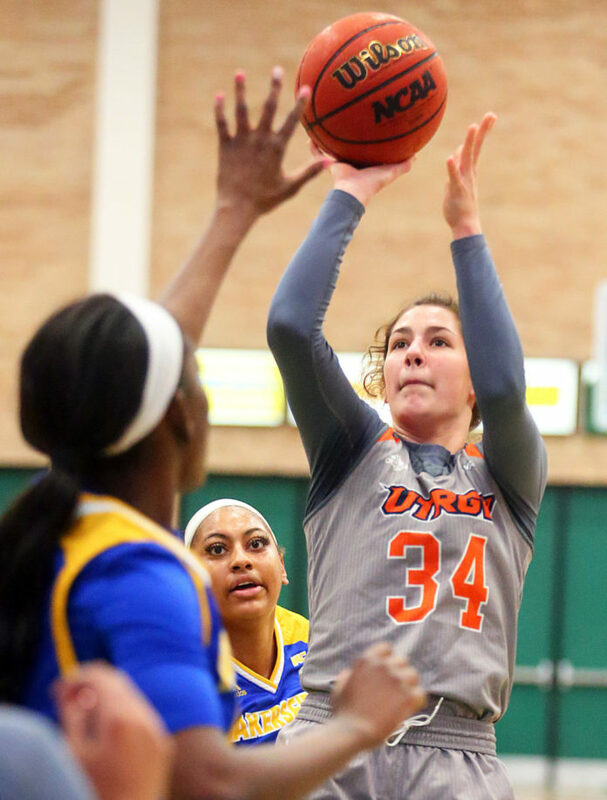 UTRGV never trailed and sits in second place in the WAC with a 7-3 record (13-10 overall). 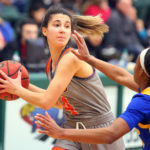 The turnover battle went to Bakersfield 17-12 but advantages on the offensive and defensive glass plus at the free-throw line allowed UTRGV to continue its pace. 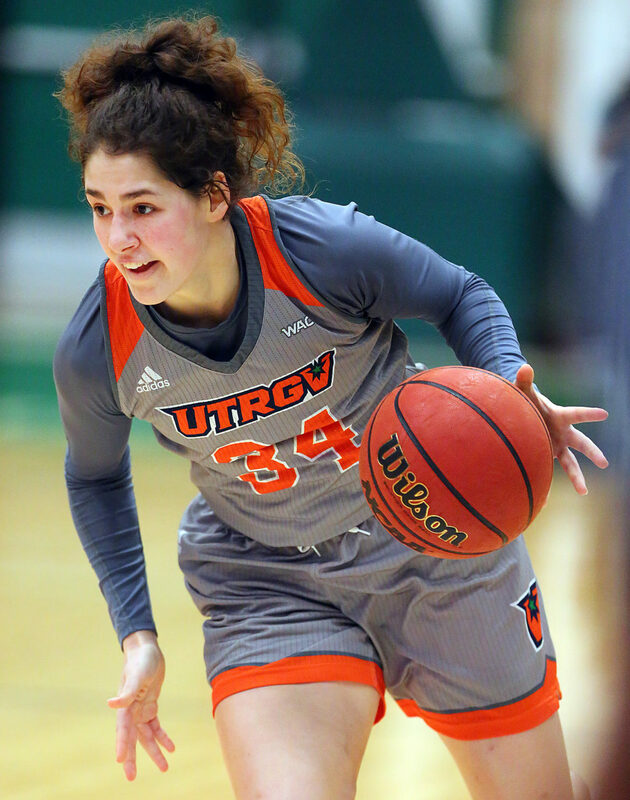 In the first meeting between the teams, UTRGV lost by five, 68-63. 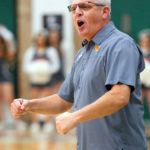 The Vaqueros have won four in a row for the second time under first-year coach Lord. The first win streak of the same length was in November and December in non-conference action. 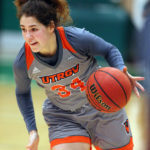 Both teams were finding offense in the first quarter, but UTRGV was able to take an 18-13 lead into the second quarter. Junior forward Megan Johnson had eight of her 14 points in the opening frame. 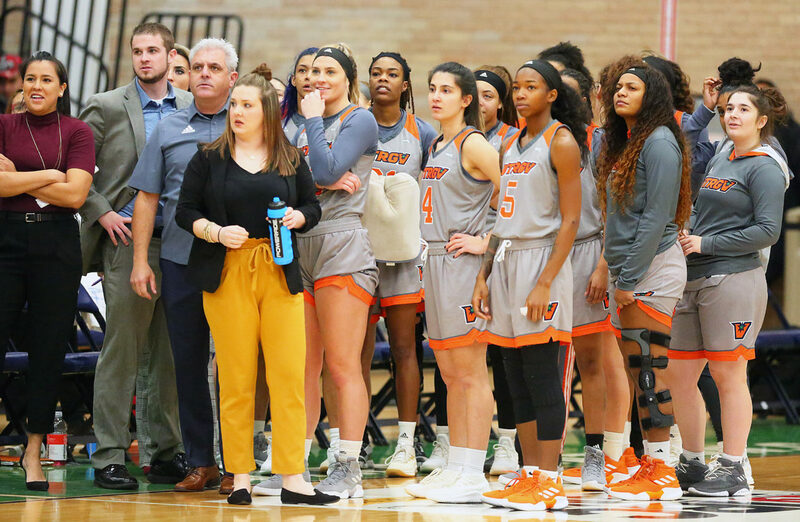 Saturday’s win was the second time in three games Johnson has led her team in a victory. 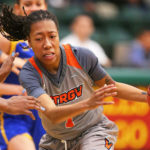 Against Chicago State on Feb. 4 she had 19 points. 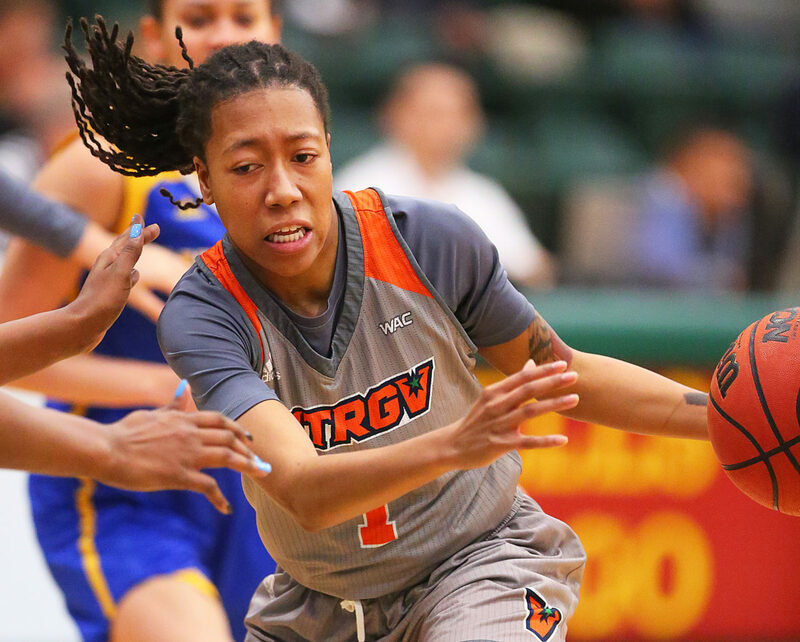 UTRGV has had seven different players lead the team in scoring in 10 WAC games. Johnson said such a balanced offense makes her team a tough matchup. Eight different players scored against the Roadrunners and four reached double-digits. 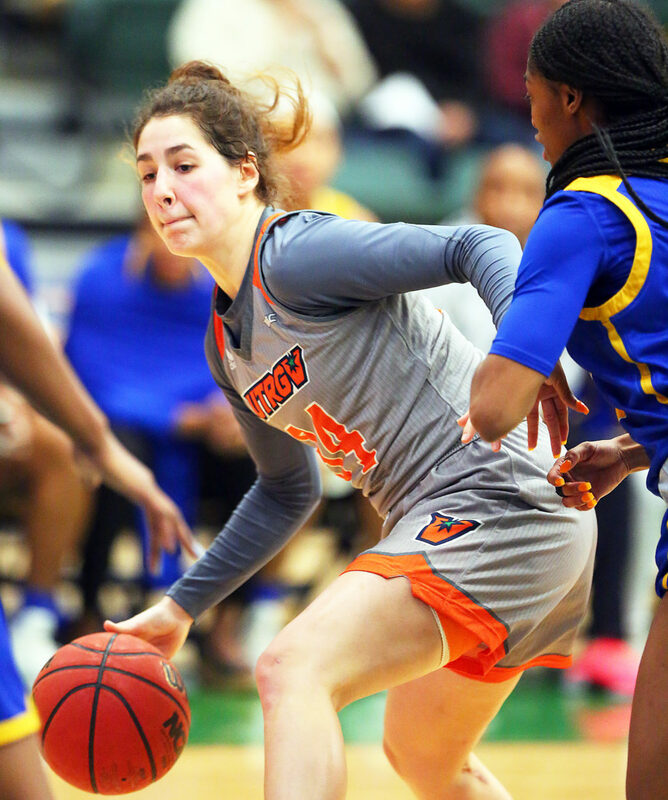 In the second quarter, UTRGV used eight points off the bench to build a 10-point lead. The free-throw long was a reliable source of points for the Vaqueros who made 15 in the first half. 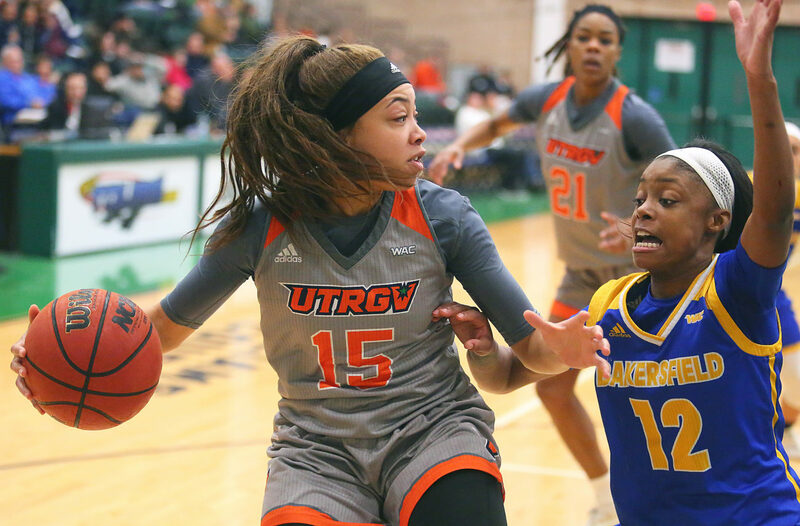 The visiting Roadrunners made their best surge in the third quarter but were never able to erase UTRGV’s advantage. 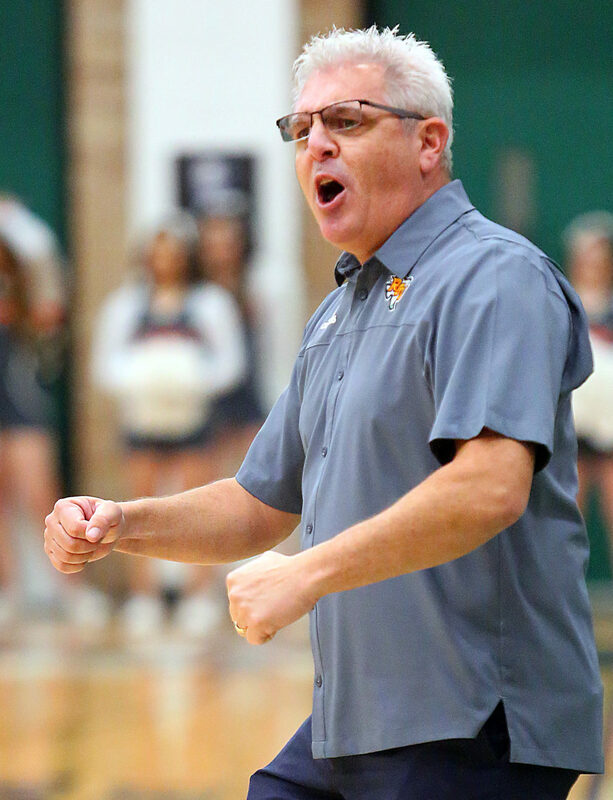 “We’re hard to scout and you just never know with us,” Quynne Huggins added. Huggins put home a put-back down the stretch to push the lead back to nine at 46-37 to thwart CSU-Bakersfield’s momentum. 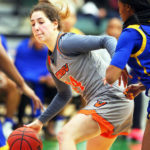 She finished with 10 points and four rebounds. 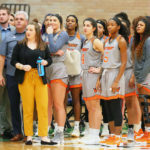 The Vaqueros two-game road trip will take them to Seattle U., who they beat handily in their first meeting, and Utah Valley who walked-off against UTRGV in dramatic fashion Jan. 17. Lord said his team is capable of returning to the RGV on the same winning streak. 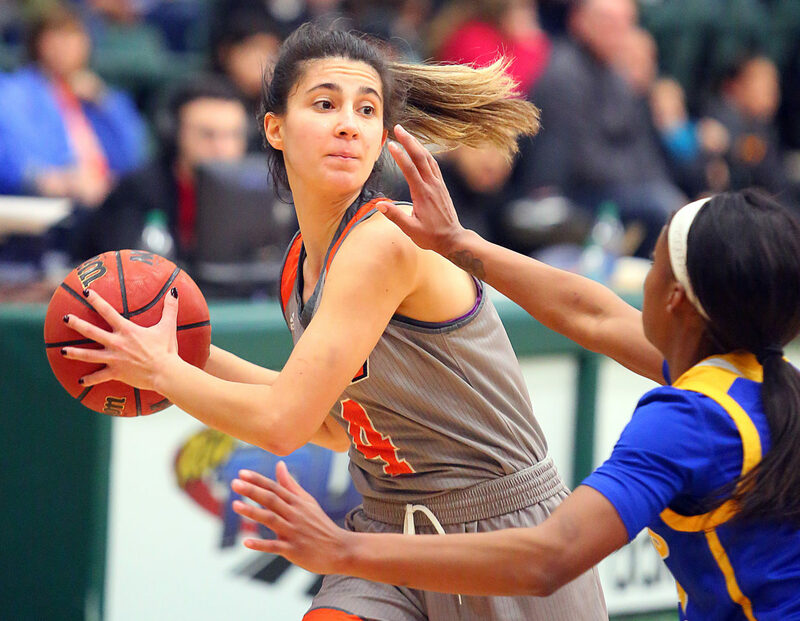 The women return to the Fieldhouse on Feb. 23 against first-place New Mexico State.